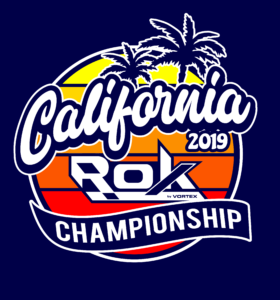 CALIFORNIA ROK CHAMPIONSHIP ESTABLISHED FOR 2019 | Challenge of the Americas! ORANGE, CA (December 4, 2018) – The 2018 season was a solid year of growth for the ROK Cup USA program, reaching multiple states, debuting new series, working with established programs, and ending the year with a great inaugural ROK the RIO in Las Vegas. The year also brought on the addition of the famed Challenge of the Americas program to the ROK engine platform, helping to cement a foothold for the ROK Cup USA in the western portion of the country. The next step will be to establish more regional and club series under the ROK banner. For 2019, this growth will include the launch of the new California ROK Championship, hosted by FTK Promotions. The new California ROK Championship is scheduled to host four rounds between the months of May and August, travelling between Sacramento and Fontana. The series will be based around the seven ROK Cup USA categories, in addition to including the 100cc Senior and Masters divisions that utilize both Vortex and IAME powerplants. The format for the California ROK Championship is a unique two-day event. Saturday will host official practice with multiple rounds for all divisions to prepare for qualifying at the end of the day. Sunday’s racing will provide a Prefinal and Final, completing the day in the afternoon to allow competitors the opportunity to get on the road home at a reasonable time. More details along with exact class structure and rules are to be published on the challengekarting.com website. This entry was posted in California ROK Championship by challenge-admin. Bookmark the permalink.